« How Family Courts Determine The Amount Of Child Support? If you are the recipient of a Summons/Complaint because of a pending divorce, you have twenty (20) days to respond. To respond to the summons, you must file what is known as the Answer. 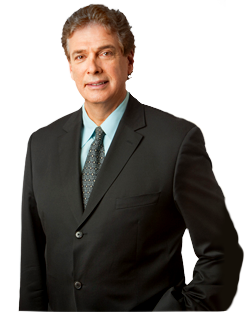 Usually, your attorney will draft up and turn in your Answer for you, which will initiate the divorce process. You should contact your local family court to receive multiple response forms. In some cases, the forms can be downloaded from the Internet, and you may print them out; alternatively, you can physically go to the court and get a tangible copy. You must respond to the particular claims that are listed in the Plaintiff’s Complaint, and for each claim, you must either admit or challenge the claim. If you have minor children, you will need to include information about the current and possible child support payments as well as future alimony payments. You can also acquire full guardianship of the children or child, but you will have to create a complete outline of how much time with the child should be divided. It should be a detailed layout of how the parent without sole custody should be able to have visitation with the children, along with if you think it is necessary to provide child support. All these papers must be submitted to the court’s desk clerk in order for it to be filed. It is recommended that you bring three (3) versions of your response. The administrator will stamp the copies as with a “Filed” label, and will keep one (1) copy for the court to keep. You should also file one copy for your personal records in a safe place. If your soon-to-be-ex-spouse has retained a divorce lawyer, forward a copy to their lawyer, as required by the court. If your spouse didn’t retain an attorney, then you will send a copy to your partner, along with a return receipt. Or, if they do not have an attorney, you can ask your sheriff or get a process server who can legally serve your response to your spouse. This entry was posted on Thursday, November 3rd, 2016 at 6:00 am and is filed under Divorce. Both comments and pings are currently closed.